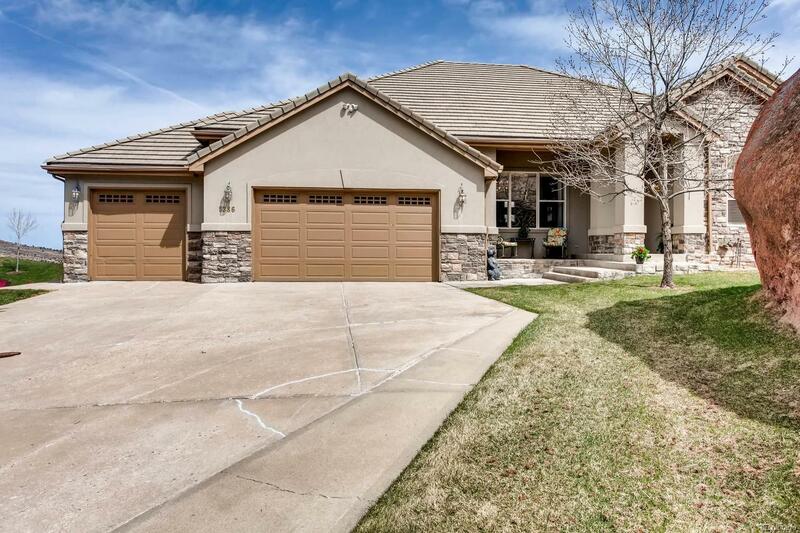 Truly one-of-a-kind ranch home on Red Rocks Country Club Golf Course featuring stunning views, an incredible red rock outcropping in the front yard, spacious open floor plan and ample privacy. This home will amaze you. Very open floorplan for easy living. Enormous laundry room with great storage. The garage is huge and will fit your cars and a golf cart. Vaulted ceilings and fireplace in the great room and great views. From the kitchen the wall of windows provides wonderful natural light as well as a charming golf course scene all times of day. From the dining room, to the office, the bedrooms to the bathrooms, each room feels stately. Backyard is eminently enjoyable, expansive patio, and breathtaking views. Virtual tour link to access the interactive floor plan is very helpful in understanding the layout of the house. The backyard fence extends onto golf course property, with permission from the golf course, for any questions please reach out to Audi and Alexander-TheLundyTeam. Builder Name 1: Advocate Homes Inc.